Canvas size 54cmH x 70cm. 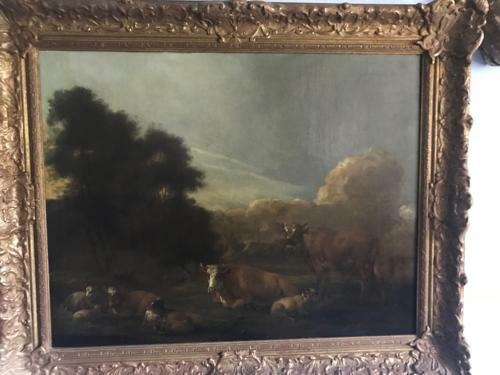 18th century landscape oil painting of a farm and livestock, farmhouse in background with a stormy sky brewing, to the left a copse of trees. Dutch in origin.